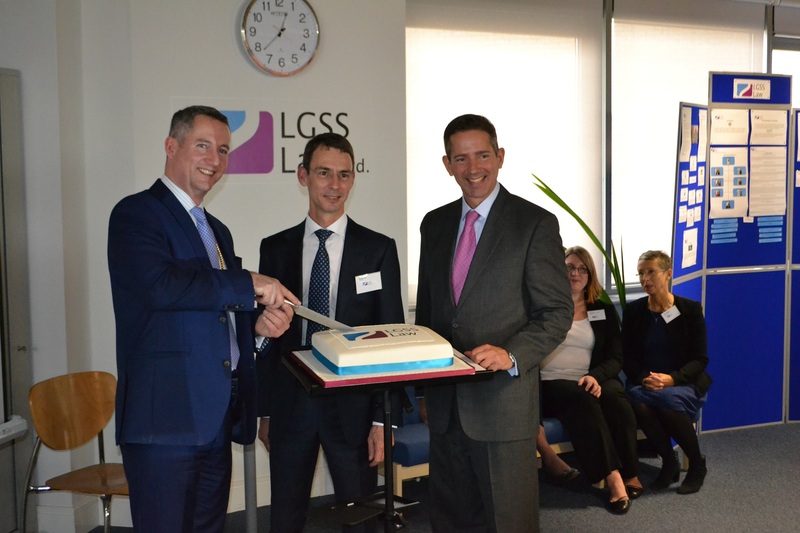 MP attended the Formal Launch of the new headquarters for LGSS Law Ltd on 14 October 2016. Photo shows Cllr Kindersley, Chairman-Cambridgeshire County Council, Quentin Baker, Executive Director, LGSS Law Ltd and Jonathan Djanogly, MP cutting the cake. The event was attended by a number of key clients and some other notable local dignitaries. We were very pleased to have Cllr Sebastian Kindersley, the Chairman of Cambridgeshire County Council to preside over the formal cake cutting. Above all, the guests thoroughly enjoyed themselves and are really enthused by what we’re doing.